In January, Republicans had no choice but to confront the reality of climate change, because of Bernie Sanders. When the Senate was in the midst of talks about the Keystone XL pipeline, Sanders introduced a “sense of Congress” resolution that would have simply acknowledged that climate change was, in fact, real and needed to be addressed. 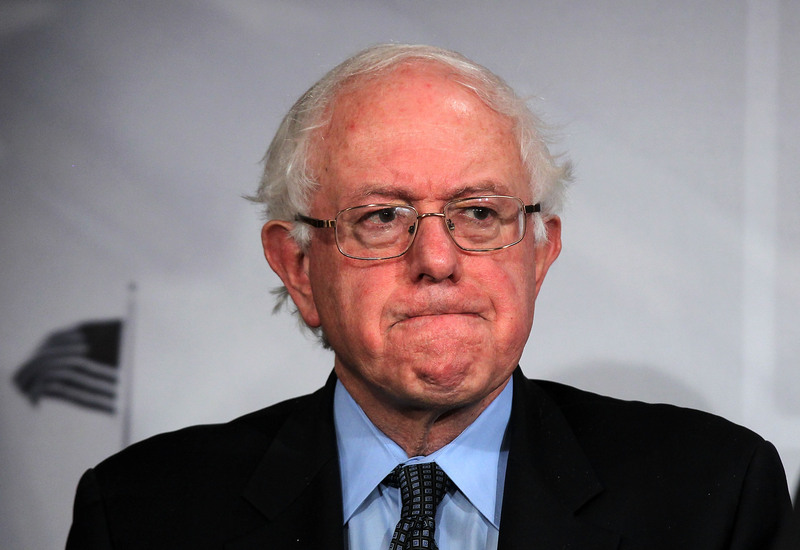 Now that Sanders has officially announced his run for the Democratic presidential nomination, January’s incident is bound to be a repeat occurrence. [President Obama] can and should do more. But the major impediment right now is not Obama, it is the Republican Party. We have to call them out on this. We don’t do it enough. These are people who do not even acknowledge the scientific reality because they are beholden to Big Energy Money and the Koch brothers. Sanders clearly isn’t afraid to call them out. In fact, that’s one of the goals on which he is centering his campaign. According to The New York Times, one of Sanders' key concerns in running for president is addressing climate change, and his record thus far as a senator reflects that concern. In a recent ranking of U.S. senators based on their climate activism, Sanders scored high. Aside from his work to call out climate change deniers, Sanders has also stood up for other climate-related issues, such as championing solar power. Sanders’ zeal for issues like climate change is one of the big reasons liberals are so enthused about his announcement to run for the Democratic presidential nomination. His clearly defined stances on the issues will push the previously unchallenged Clinton to carve out a stance of her own. For example, as far as climate change, Sanders has been adamantly opposed to the Keystone XL pipeline because of its potential environmental implications. ThinkProgress writes that Clinton, on the other hand, has yet to really offer a clear rundown of her take on Keystone XL — and liberals and conservatives alike have taken note. Even if Sanders doesn’t stand a great shot at beating Clinton, he does stand an excellent chance at sparking her to speak up on issues on which she has previously remained mum — just as he did to Republicans back in January.